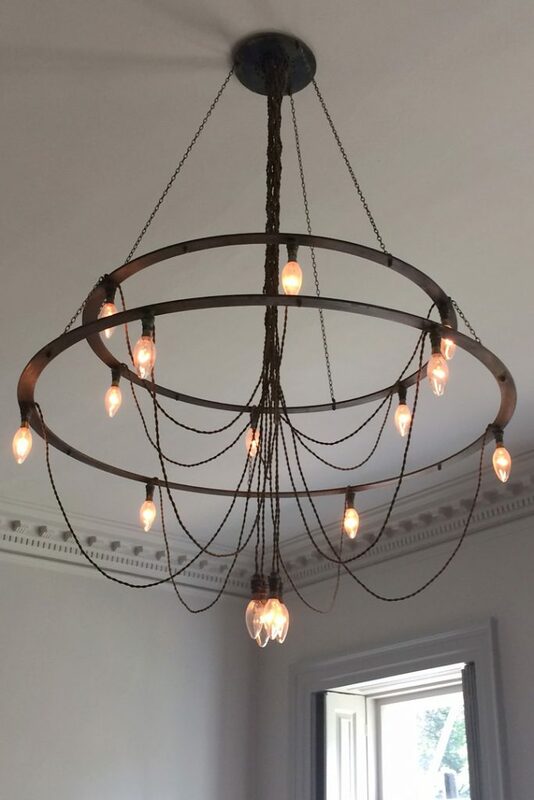 Originally a commission as a centrepiece fitting for the Great Room of an important grade II listed Queen Anne house circa 1709. The client gave no brief; yet it was daunting to design something using modernist principles worthy of such a significant setting. 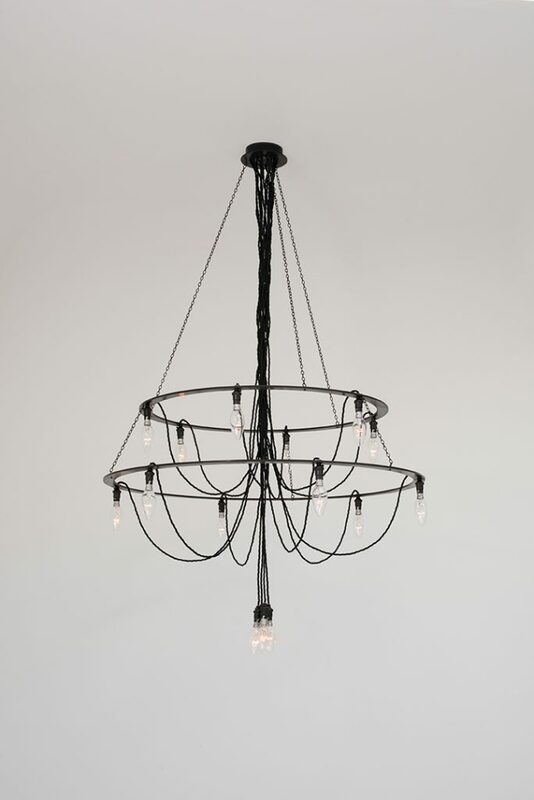 It could be no match for a crafted, candle lit crystal chandelier as the natural and original intention for the house when built. 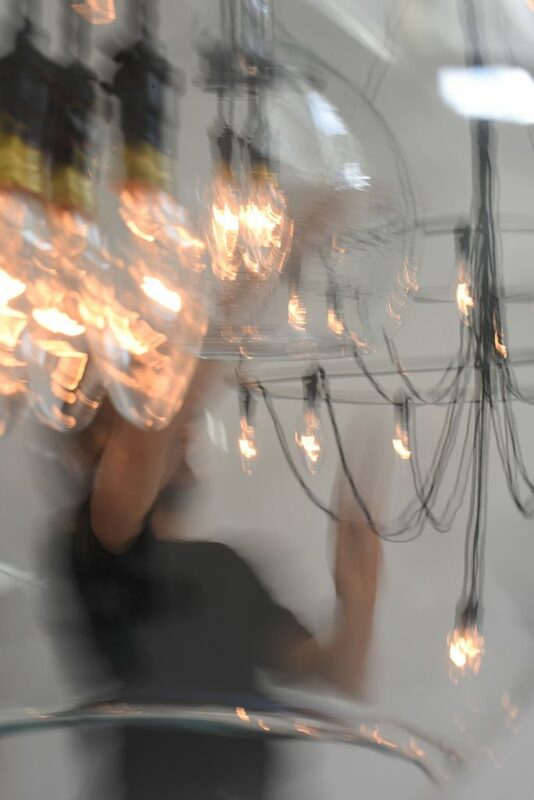 The design is a diagram, summarising the demise of the traditional chandelier, featuring bare electric cable and bulbs as the mundane evolution and despite its simplicity is as well-crafted. 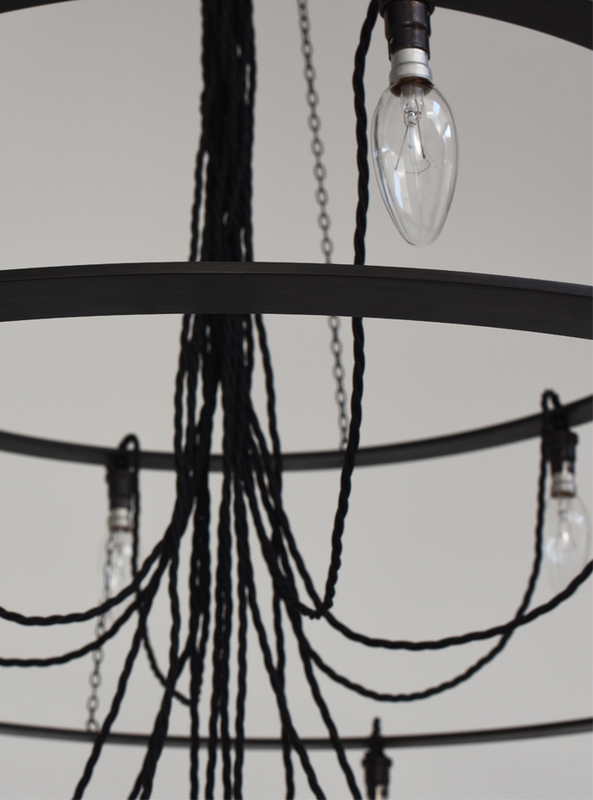 Handmade in intricately detailed “negra” finished metalwork the early design electric twisted cable, reminiscent of early surface electrical installations in such houses, is shaped and woven to form the stem in a Northern European maypole plait. 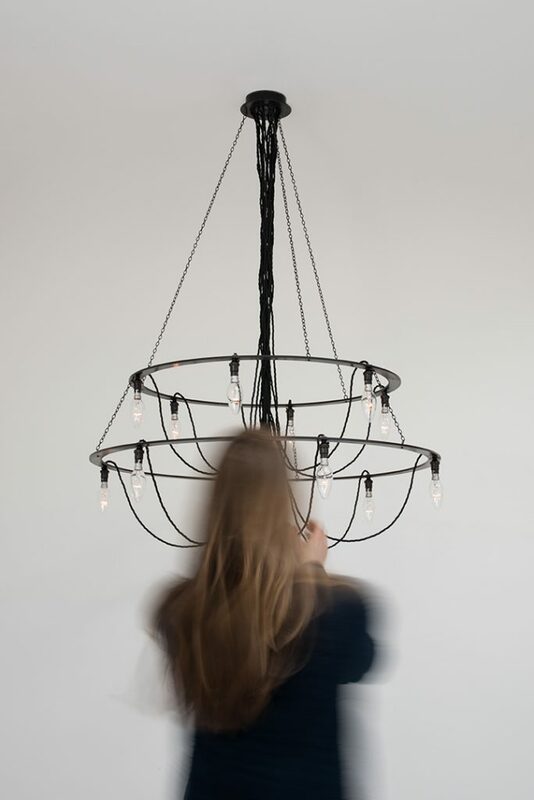 Occupying the volumetric space of a traditional chandelier, without the weight or density yet collapsing flat like a paper lantern, its name – Farol adds to the irony. Farol means ‘paper lantern’ in Colombia. The etymology and origin is from Greek, pharo – lighthouse, Catalan, faro- lantern but also from a circular bullfighting pase with the matador’s red cape. All fitting imagery and so the historical aspects of the name interconnect with the design and integrates Bowles and Linares origins with their work. 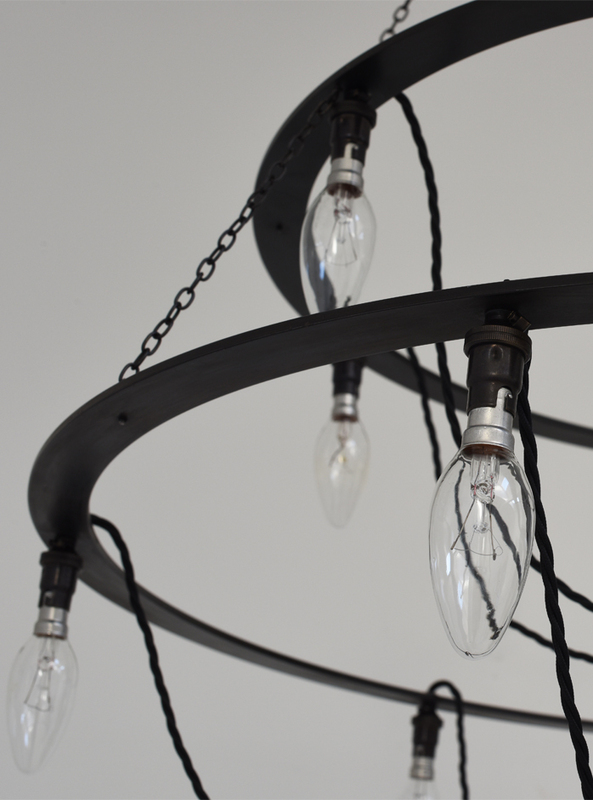 Farol is available in 3 sizes and can be produced to custom diameter, length and finishes.